We have a missing dog He’s called Billy.... small beagle last seen in Templeogue wood - contact us ASAP if seen! 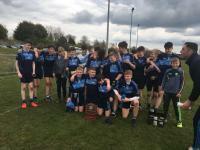 Well done to our U-15 Footballers who won the Pa O’Brien tournament in Fermoy today - they went through the entire day unbeaten and beat Austin Stacks of Kerry in the Final - well done lads! 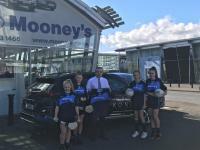 Huge thanks to Kevin Lawlor and all at Mooney's Hyundai Deansgrange & Longmile Road for generously sponsoring the U13 Girls Jerseys. 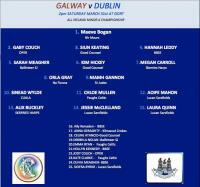 Good luck to our Adult Ladies Football teams who begin their 2018 League campaigns tomorrow evening. In the newly reformed league structure our 1st team face Croi Ro Naofa in Div 3 (Tymon @6.30) with our 2nd team travelling to Frank Kelly Park to take on Wanderers in Div 8. 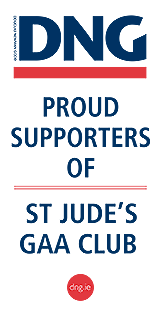 Well done to our U12 players Eoin Leen and Sam Monaghan representing St Pius school in Croke Park today and combining for a goal. Great night ahead this Saturday 4th November in O'Neill's Bournemouth with local Trad band 8# playing the tunes and keeping us entertained! Hope to see you's down there for a few pints and a great nights craic! Well done to our u13 hurling selection who won the PJ Troy tournament out in Whitehall today. The lads put in great performances winning all their matches and were a credit to their club, Jude's Abu!